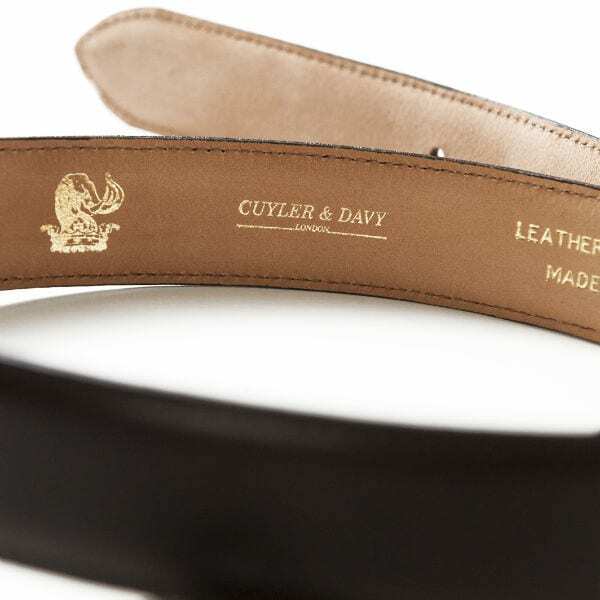 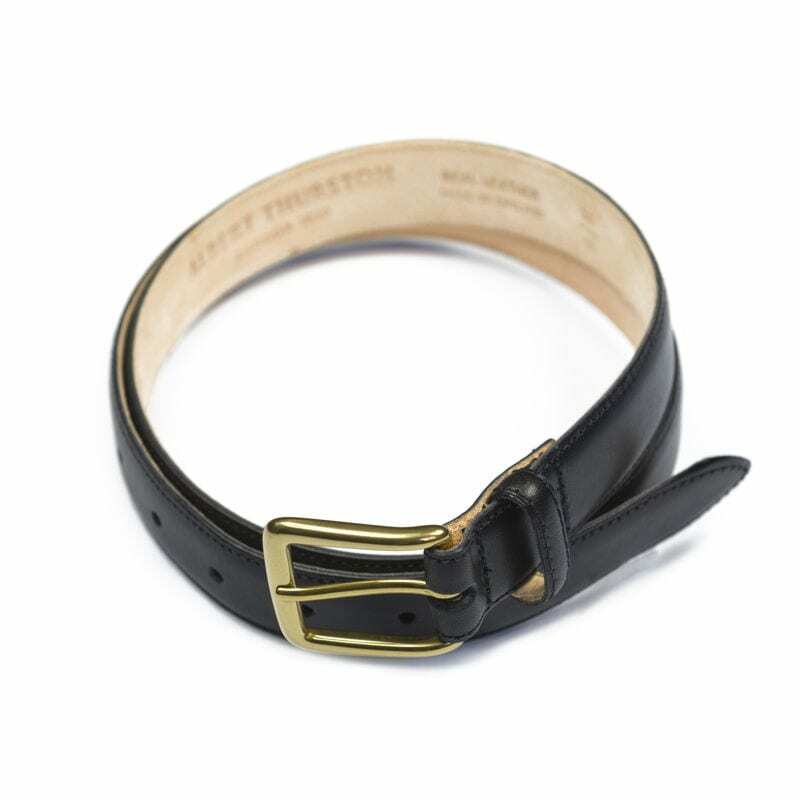 Real leather belts made in England. 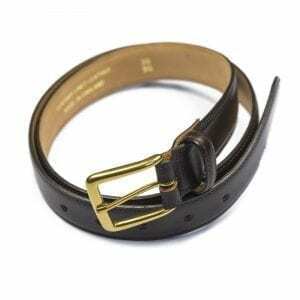 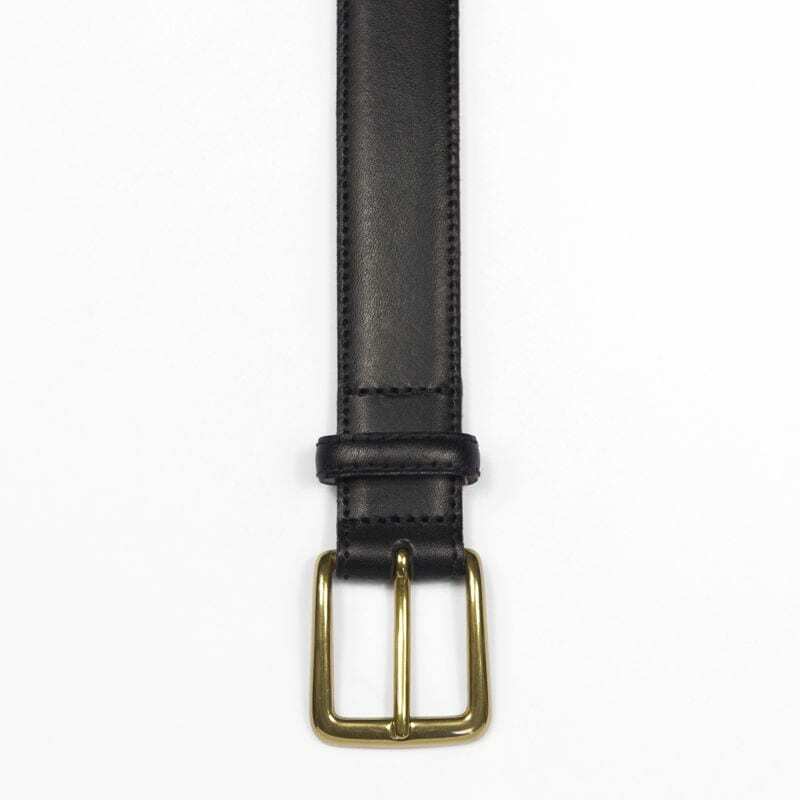 These real leather belts are made in England in black and dark brown calf with solid brass buckles. 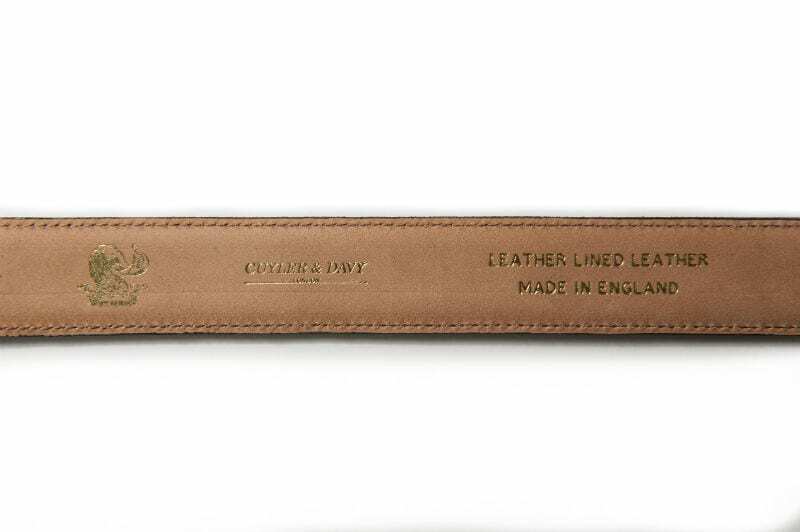 They are lined and edge stitched in sizes 34” – 42”. 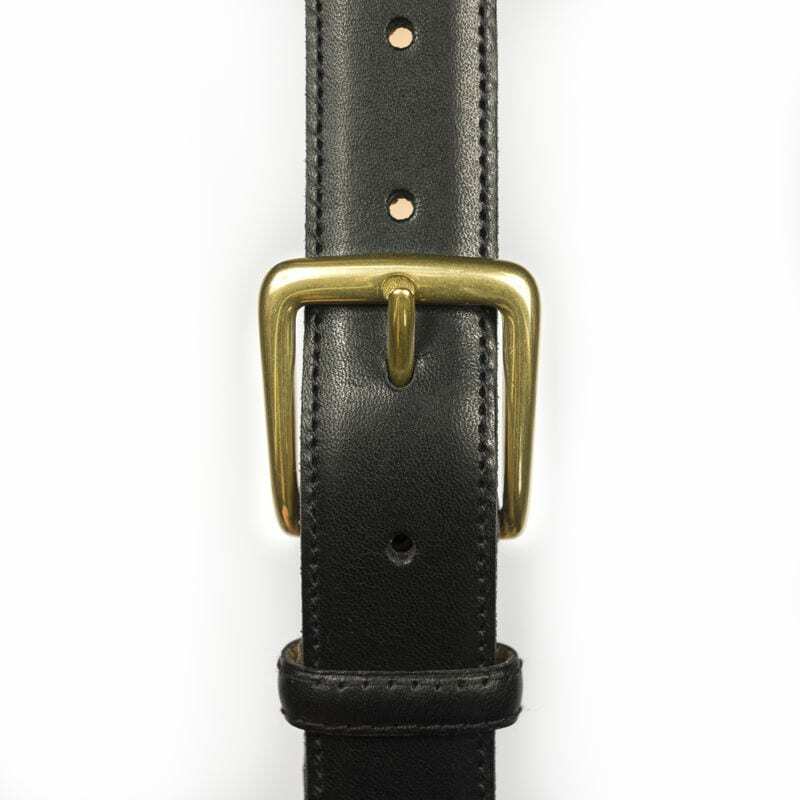 To check your waist measurement, it is recommended that a tape measure is placed through the belt loops on your trousers to give an accurate measurement. 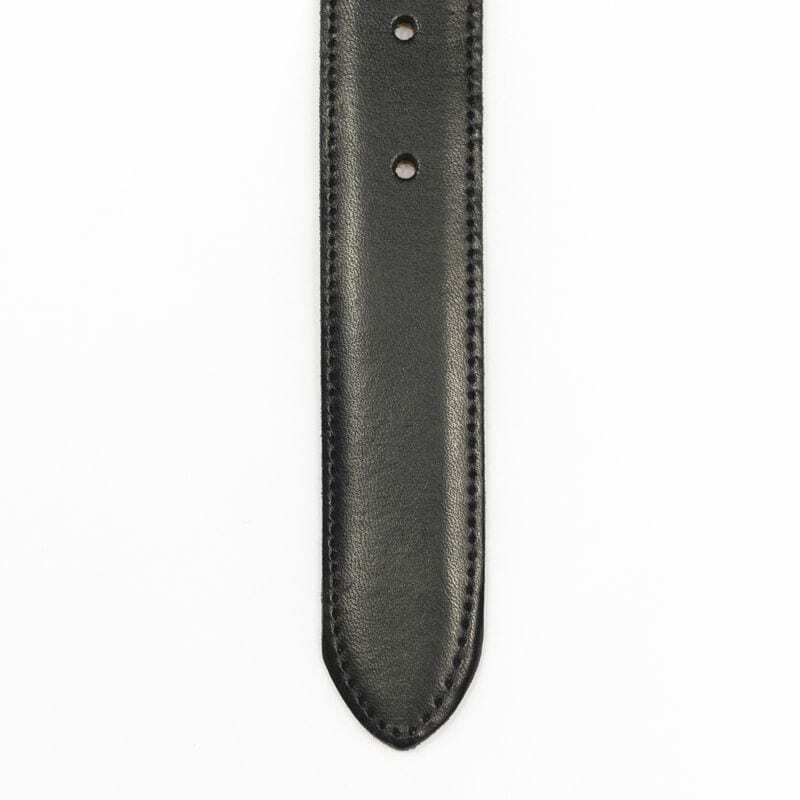 The belts are made with 5 holes allowing a 2” / 5 cm adjustment either side of the centre hole.